The Arizona corporate lawyers at Denton Peterson can help. Not only are we dedicated attorneys, but we are also business owners ourselves who understand the challenges you face. We work to help you meet your legal obligations while also minimizing your liability and freeing you up to focus on other aspects of managing and growing your business. As a business owner, you have to juggle a lot of balls. You have to oversee your daily operations, manage employees, keep track of your finances, ensure customer satisfaction and much more. You don’t have the time to try to manage the complex legal issues that affect your business or to write up detailed contracts and operating documents. You need to work with an experienced Scottsdale business lawyer who can take on this burden for you while also helping to protect your legal rights and your company. Are you in need of a results-driven business law firm in Scottsdale 85260? Contact Denton Peterson, P.C. today to speak to an experienced and top-rated Scottsdale business lawyer about your Scottsdale business law, corporate contract, and commercial litigation needs. When your business is in need of a professional corporate attorney in Scottsdale, trust only the best rated corporate lawyers in the Valley. Our Scottsdale corporate law attorneys have a track record of success in corporate law cases, litigation, and arbitration. Looking for a local corporate law firm in Scottsdale, AZ 85255? 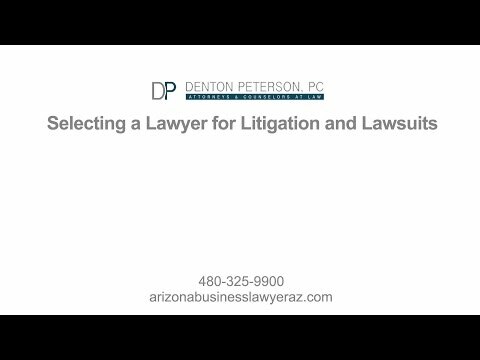 The Scottsdale corporate lawyers at Denton Peterson, P.C. are natives to Arizona and have been providing local corporate law services in Scottsdale 85255 and throughout the Phoenix Valley since 1995. If your North Scottsdale business needs a top-rated Arizona business lawyer, trust only best business law lawyers in Scottsdale 85260. Our Kierland business lawyers have decades of combined experience providing results-driven business law services. Searching for the best business law firm or Scottsdale business law attorney nearby your office? 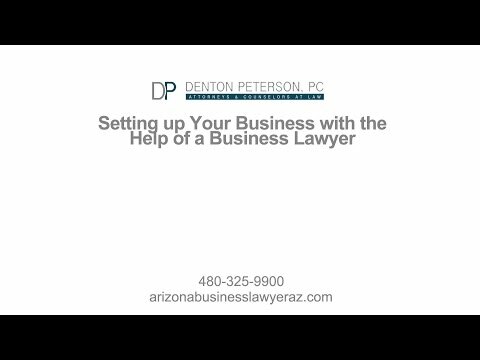 The Scottsdale business law attorneys at Denton Peterson, P.C. are the best rated corporate lawyers in Scottsdale and are servicing offices nearby Scottsdale. Find a licensed and experienced corporate law attorney in Scottsdale with a track-record for success at Denton Peterson, P.C. Our professional Scottsdale corporate lawyers have serviced businesses near you in Scottsdale, Arizona, since 1995. You will need a good corporate lawyer right from the very start. The way you choose to structure and organize your business will have a big impact on the kind of profits you collect, your tax obligations, your legal responsibilities, how much liability you have, and more. An experienced business lawyer will help you understand each of the options and how they might affect your goals for your business. There are also multiple variations of these types that may be suitable for your business. A Scottsdale business lawyer from our team will help you understand your options and how each will affect the way you manage your business, your finances, and your legal rights and responsibilities. We also work with out-of-state clients who are looking to create business entities in or outside of Arizona. We help people register their businesses, file for trade names, register franchises, and more. In order to protect yourself from liability and ensure that you are meeting your legal responsibilities, you will be required to process a large number of filings and draft and review many contracts for your business. Even a seemingly minor change to wording or the smallest omissions can make a huge difference, strip you of some rights to legal recourse or open the door to significant liability. It is critical that you work with an experienced Scottsdale corporate lawyer to create legal documents that will ensure that every important piece of information is included to protect your and your company’s interests. If you attempt to complete these filings yourself, you will spend an unnecessary amount of time in the process and you possibly will make a number of mistakes that may leave your company vulnerable. Our Scottsdale attorneys ensure that these filings are completed accurately and on time, allowing you to focus your attention on other aspects of your business. Our attorneys anticipate all possible scenarios when writing and reviewing contracts to ensure that your interests are protected. Every word of your contracts can have an impact on the way you interact with employees, partners, suppliers, and more, and we pay close attention to the details to ensure that you get what you need from the agreement. We have a proven track record of success in negotiating, drafting and reviewing these and other business contracts for companies of all types and sizes. Denton Peterson lawyers have a track record of success with litigation regarding these issues. We have obtained six-figure settlements for businesses, won temporary restraining orders to cease destructive behaviors, and helped businesses avoid litigation through negotiation and mediation, among other successes. Our Scottsdale business lawyers aim to protect your business and help you save valuable time and resources in the process. We can help with all the legal needs of your business, no matter how big or small your business is and no matter what your industry. Call us today to talk with a corporate lawyer about your needs. We can develop a short- or long-term plan to meet your goals.